This page is for the entire kit. To purchase individually, please go here: https://www.etsy.com/listing/176832768/tardis-door-signs? 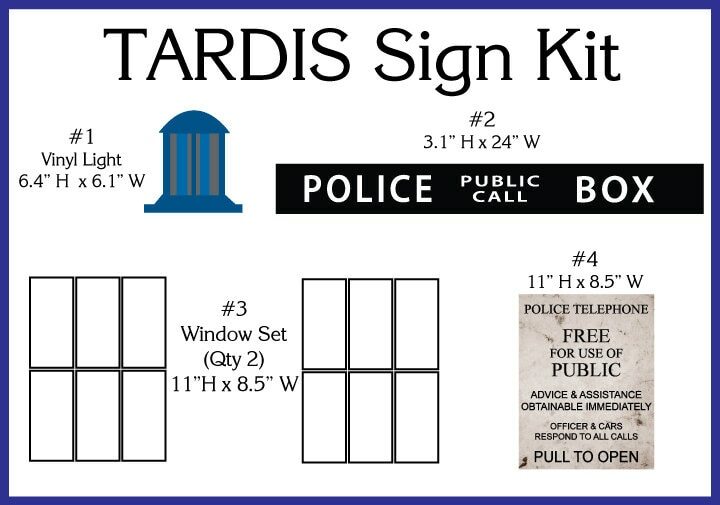 I think most Whovians will agree that the we all want to be swept away in the TARDIS and in the midst of Who dreaming, I decided to create a kit so we can all turn a door into the TARDIS. The photos shown above are of my home office door. All signs are made on a durable 3/16" black foam board. Double sided tape included. Note: The double sided tape is permanent. The light is vinyl sticker. The kit includes 5 pieces as described below . The blue paint and handles are not included. As the ninth Doctor would say, “Fantastic!” I love my TARDIS door. The pieces are well-crafted and look fabulous. Kit is very nice quality. I was skeptical about the foam boards as opposed to stickers, but they are very sturdy and look great! My daughter and I have spent months remodeling our new home and I'm surprising her with a door leading to her suite: painted TARDIS blue and, with these amazing decals, it will be a door to something "bigger on the outside". 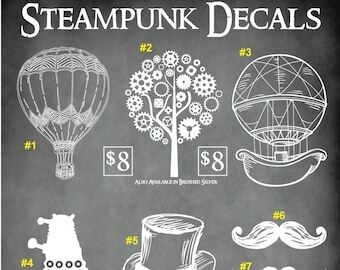 The decals are absolutely perfect! !